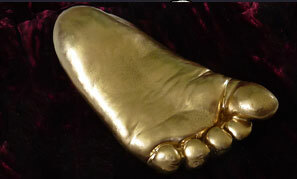 We take casts of your baby's feet or hands, capturing every small and unique detail. Leaving you with a beautiful sculpture – and a treasure for life. Home visits, covering most of the Oxfordshire area. Always wondered what your belly looked like whilst you were pregnant…? 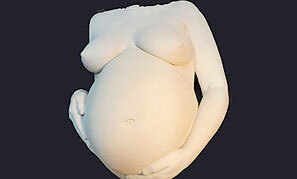 Unlike DIY casting kits, which have a very crude finish you can have a super realistic cast of your pregnant bump capturing skin texture with every detail. These can be created for free standing or hung on a wall. A wonderful way to capture the things we love in a simple procedure that is fun and totally safe. Babies, children and adults, capturing all stages of life! And not just that the detail is amazing, literally an exquisite finish! Holding hands with your loved one, a cast of your lips for your Valentine or a romantic embrace, athletic poses and torsos are all available, there is absolutely no limit to what can be achieved by Exquisite Casting!